Men’s skin care is as important as women, sometimes more than women. Because men have to do shave and do outside odd jobs where their skin gets harsh with so many dust and harmful sun light. That’s why men face care products are necessary for you. Men’s skincare should be straight forward and easy. I think man should follow the CTM (cleansing, toning and moisturizing)routine every day. Here, you get all natural and organic men face care products by different famous brands. 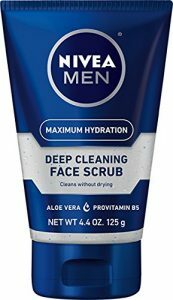 NIVEA Men Maximum Hydration Deep Cleaning Face Scrub is perfect for man’s skin. Because it hydrates man’s harsh skin properly. This scrub is full of natural ingredients with Aloe Vera, Provitamin B5, and fine scrub particles that cleans deeply without drying. Its PEG-200 Hydrogenated Glyceryl Palmate and Aloe Vera Juice hydrates skin properly and make it smooth. Original Deep Cleaning Face Scrub. Deeply cleanses skin to unclog pores. Wash away impurities and oil. By removing dead skin, it refines and smooths complexion. It improves razor glide if you use before shaving. Rich with natural ingredients, so skin does not feel dry or tight. After regular uses, skin feels thoroughly clean, smooth and healthy. 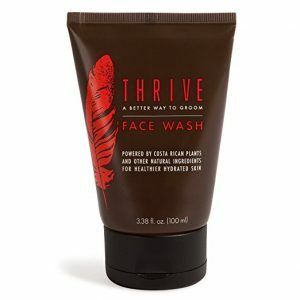 Thrive Natural gel-based Face Wash is perfect for men’s skin. It’s complete natural formula leaving out all the harsh synthetic additives that may cause irritation. It’s safe to use on all skin types. It treats as natural cleanser and removes dirt, oil, and sweat safely. Its synthetics-free formula helps prevent skin irritation, and it has a refreshing rainforest scent. This product is made only with premium ingredients sourced directly from Costa Rica, the USA, and Europe, and is free of synthetics and artificial additives. Thrive Face Wash contains two premium plant ingredients that are not available in other skin care products. This product’s great cleansing properties are powered by two Costa Rican plant ingredients unique to Thrive. Gel Based facial wash removes dirt, SPF, oil gently. Reduces sweating from your face. Natural formula hydrates naturally and protect from drying. Its subtle all-natural scent is sure to perk you right up when you wash your face. 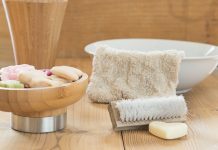 It’s formulated by complete natural products and leaving out all the harsh synthetic additives that may cause irritation. It’s safe to use on all skin types. This product is made only with premium ingredients sourced directly from Costa Rica, the USA, and Europe, and is free of synthetics and artificial additives. It has great cleansing properties are powered by two Costa Rican plant ingredients unique to Thrive. Juanilama has anti-bacterial, anti-fungal, and anti-oxidant properties (87% more than vitamin E) that help combat blemishes and impacts of stress and pollution on the skin. Fierillo extract has anti-bacterial, anti-inflammatory, skin-healing, and anti-oxidant properties that help promote healthier skin after exercise, outdoor adventures, or stress. It’s very safe for all type skin with its natural ingredients. Thrive offers a 100% Satisfaction Guarantee. 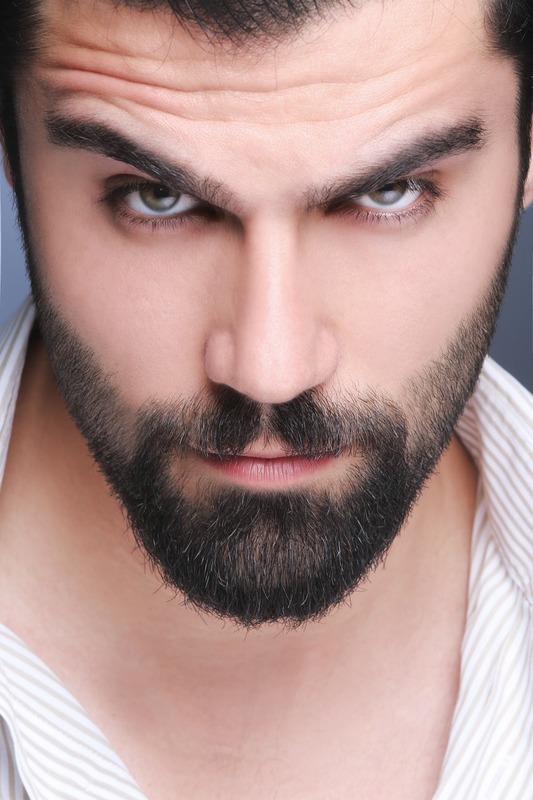 Brickell Men’s Purifying Face Wash cleans your skin deeply without over drying and irritation. Because it contains complete Natural and certified Organic ingredients. It is scented with a refreshing blend of peppermint, eucalyptus, and lemongrass essential oils. This refreshing, natural face wash for men is a cleanser packed with moisturizing extracts and vitamins. Its activated Charcoal cleanses the pores of oil, bacteria, free radicals & other facial irritants without drying out sensitive skin. 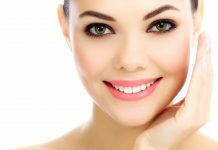 As a result you get refreshed and hydrated skin. Its olive oil, jojoba oil, and aloe vera make your skin fresh and glow by removing spots and dark circles gradually. Jojoba Oil creates a protective cushion on your skin to reduce water loss. Aloe Vera penetrates the skin to supply moisture and antioxidants to your skin tissue. Men of any age with dry, sensitive, and normal type skin can use this men’s face wash. You can use it twice in a day for getting better performances. Completely Natural and Certified Organic Men Face Wash.
Gently removes oil and bacteria from deep within the pores. Included activated charcoal, olive oil, jojoba oil, and aloe vera. So, clean skin deeply without irritating or drying out the skin. Charcoal gently deep-cleans your pores. The result is refreshed and hydrated skin. Packed with moisturizing extracts and vitamins. After use look fresh and clean. Men of any age with dry, sensitive, and normal type skin can use this men’s face wash.
It’s a guaranteed Product by Brickell who creates skincare and grooming products for men using natural & certified organic ingredients. 4. AHAVA Time to Energize Soothing After-Shave Moisturizer for Men, 1.7 fl. oz. AHAVA gives you a fresh and calm feelings after every shave. Its mineral rich moisture cream hydrates your skin perfectly. Its antibacterial action makes your skin calm. Moreover its quick absorb power removes dryness and locks moisture. So, after long time use you get a healthy young look. AHAVA is suitable for all type skin even sensitive skin. Though it is Dermatologist tested and allergy tested, completely safe for your skin. Its quick absorbed formula hydrates your skin with moisture. Skin looks fresh and soft by its effective antibacterial action. It does healing process and makes your skin calm. It’s full of natural ingredients and Paraben, phthalate & SLS-free. Dermatologist tested and allergy tested. 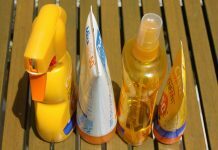 Suitable for all type skin included very sensitive skin. NIVEA MEN Sensitive Non-Greasy Face Gel Moisturizer is quite perfect for men’s skin. Its light gel formula is fast absorbing, gentle and enriched with Vitamin E and natural, soothing Chamomile and Witch Hazel extracts. Its natural ingredients hydrate dry and sensitive skin quickly. It also soothes and helps prevent shaving irritation. So feels comfortable after shaving as well as skin gets healthier. Moisturizes dry or sensitive skin properly. Prevents and soothes skin after shave. Skin looks healthier and feels fresh. Moisturizes skin intensely without leaving any residue. Can be used between shaves. Formulated with no drying alcohol. Enriched with Vitamin E and Chamomile and Witch Hazel extracts. Improves skin’s condition over time.